Diving from the edge of space, Mega Rayquaza-EX makes its magnificent debut while Mega Latios-EX and a horde of Dragon types bellow their challenge! With high-flying superstars like Deoxys, Dragonite, Zekrom, Hydreigon-EX, and Thundurus-EX, the Pokemon TCG: XY-Roaring Skies expansion calls you to battle higher, faster, stronger-and with all-new boosts like Mega Turbo and Double Dragon Energy cards, the sky's the limit! Ascend to the clouds and soar to victory! 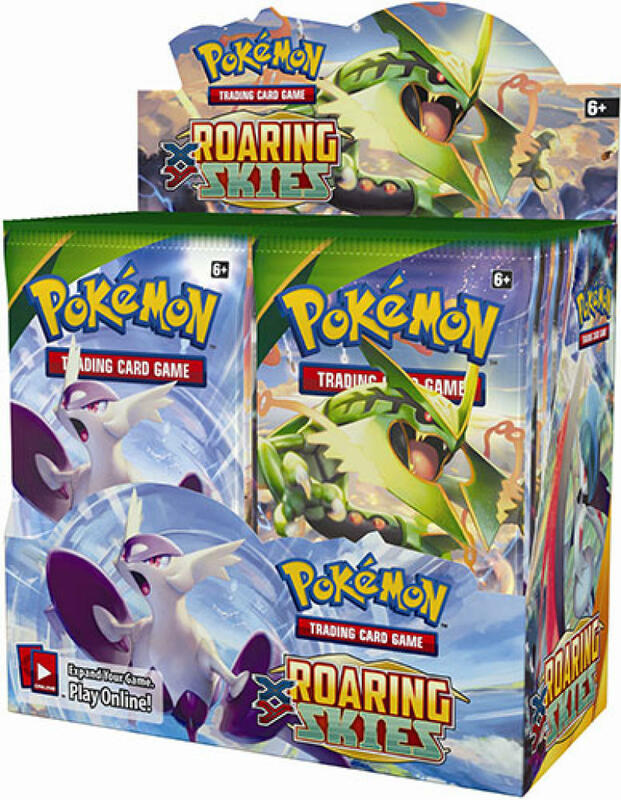 Contains 36 Pokemon - XY Roaring Skies Booster Packs.